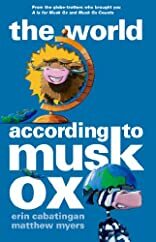 So I started writing this blog post, talking about how I received my advanced reader's edition of The World According to Musk Ox, and explaining what that is, and how cool it is to hold an actual book in my hands, etc., when I realized that I was basically rewriting the exact same thing I had posted when I received my advanced reader's edition of Musk Ox Counts. So if you want to read the blog post I was going to do today, you can go here and just substitute The World According to Musk Ox when I say Musk Ox Counts. But since I've already signed on to write, and since I haven't written in a long time, I figured I ought to write something. So, I will write about how I've been having a hard time writing. It's a very sad story. Lately, I've been having a hard time coming up with ideas, and when I do get an idea, I have a hard time writing it down so that it sounds good. For a while, I was working on a YA (young adult) book. It has some ideas in it that I really like, but overall, I wasn't too excited about it. I was trying to push through that lack of excitement though, because I've heard that a lot of times, when you aren't excited about a book you're writing it's because you've come to a hard part to write and your lack of enthusiasm isn't so much because your book is bad as it is because you're just having a hard time writing. So I was trying to push through that lack of excitement, but I eventually decided that the plot just had too many problems. So then I decided to start working again on a MG (middle grade) book that I had started writing and then put away because I couldn't figure out where to take it. I'm still having a hard time figuring out where it goes and how it ends, but I've figured out a few things about it along the way, so hopefully I'll be able to finish it. But even if I do finish it, I don't know if it will be publishable, since it's my first MG book (not my first novel) and I have a lot of learning to do. I've also been having trouble with picture books. I have a few starting ideas that I really like, but have been having a hard time figuring out where to take them and I'm having a hard time coming up with new ideas. I finally finished a manuscript that seems half-way decent, so after having it critiqued, I sent it off to my agent. This was just a few days ago and I haven't heard back from her yet, so we'll see what she thinks. I'm currently working on another picture book that has been really hard to figure out. It'll be interesting to see if it's good when I'm finished. It's hard to explain, but it's not like a normal picture book. At the moment, I'm kind of afraid the idea might be too advanced for the intended picture book audience, but I'm hoping that with illustrations it will work. Right now, I can't tell if the idea is brilliant and going to make an awesome picture book, or if it's just not going to work at all. I'm afraid though, that once I'm done with this book, I'm going to have a hard time coming up with another idea to write. Even this idea is one that I came up with many years ago and am just trying to rework it so that it's better. So that's what I'm working on, and I'm enjoying it some, but it's been harder for me to write than it's ever been. I wish I knew where all my creativity has gone. (Is it my depression, is it my medication, is it old age?) I've never had such a hard time writing before. I've been debating about trying something new with this blog. I've been using it to share news about my books, but since I only have three picture books published, there isn't much news and I write rather infrequently. So lately, I've been wondering if I should start studying the craft of writing again and writing down what I learn here. I think it would help me be a better writer, but I'm hesitant to put down what I learn on a blog because I'm not sure I'll be able to add much to what has already been said. So I'm still thinking about that. And one more thing--I realize it was a while ago, but it was the last thing I blogged about, so I'm going to mention it here--the book signing at Barnes and Noble went well. I read both my books twice (with my husband) and I sold some books. Plus the bookstore had me sign the books that weren't sold so they could sell them in the store, so that was nice. There was even someone who had read my books before hand, which is always fun. Book signing are always a little difficult for me since I'm not well known which means I have quite a bit of time where I'm not signing books, but instead am just sitting there, smiling, and trying not to feel too awkward. I did take coloring pages and bookmarks for the kids, and that turned out well. That way I had kids around me so I wasn't sitting by myself all the time. And I said I had one more thing, but I just thought of another. My kids' school had a book fair, and my book, A is for Musk Ox, was there! The best part was when I was shopping there with my kids and there was a lady talking to one of the workers, telling her how good my book was. She was really excited about it and it was fun to hear and fun to let her know that I was the author. And I thought of another thing, but I think that's enough for now, so maybe I'll write about it tomorrow. I'm going into my daughter's class to give a presentation tomorrow so I'll have that to write about as well. 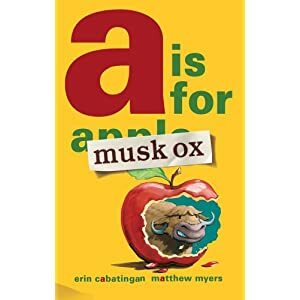 I just read A is for musk ox to my kids and it had us cracking up!!! My son picked it randomly at the library today but we are definitely going to have to purchase our own copy. 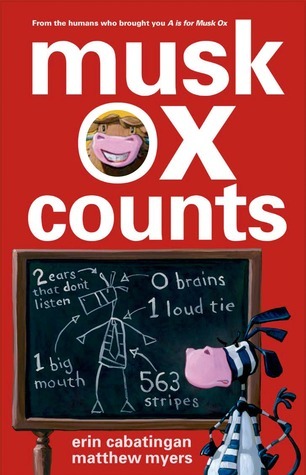 I loved it so much that I googled you to see what other books I can get for my kids. Thank you for making such fun books! Thank you! I'm glad that you enjoyed it!